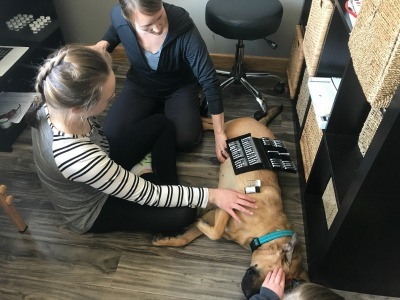 Imagine for a second that your baby screams inconsolably for hours on end, and after 1-3 visits using muscle testing, that baby is now more calm and at peace due to gently moving his/her toxicity to chlorine out of the body. Or the intense low back pain that keeps you from picking up your littles is once and for all on the upswing due to finding rice as a toxicity in your low back using muscle testing. What about the hot flashes you’ve experienced for 18 years that finally went away after finding a parasite challenge in the liver with muscle testing. How much of a relief is it when the weight you’ve carried for years finally starts melting off just weeks after we see the thyroid (that is showing up as FINE in your blood panels) needs support with muscle testing. “In 1964 Dr. Goodheart made the first correlation between finding a weak muscle using manual muscle testing and then employing chiropractic therapy to make it stronger. 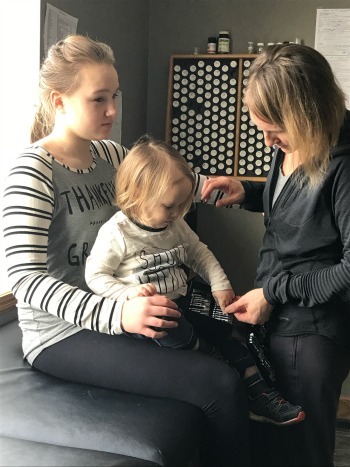 Since then he has looked beyond the chiropractic profession to the fields of biomedicine, osteopathy, acupuncture, dentistry, nutrition, biochemistry, and others for methods to increase the health and well being of patients based on using the body itself as a diagnostic tool.Dr. Goodheart had a unique way of looking at a patient´s problem and asking, “Why is that?” This allowed him to correlate many different types of examination and treatment procedures into a unified method of examining and then treating many difficult patients. What’s even more beautiful is we don’t need the knowledge of chiropractic care in order to apply this technology and implement lifestyle change based on the results of our findings. Ulan Nutrition Systems best describes this form of muscle testing that Dr. Freddie Ulan founded. To read more about it, click HERE. Back in 2011 I found Nutrition Response Testing as a means to not only dealing with my own ailing health but to really get a handle on those around me who were struggling in some way. I was frustrated as a First Line Therapy Lifestyle Educator, Craniosacral Therapist, and Birth Doula feeling limited in how I could support my practice members and knew there had to be a way to more specifically steer them on their path to real health, not the bandaid offering of our current healthcare system. Here we are after hours testing our dog we rescued about 13 months ago from a high kill shelter. What I found blew my mind. I was able to begin implementing Nutrition Response Testing to anyone who walked into my office, regardless of how long their rap sheet of ill health was. We were able to get results every time so long as they caused themselves to be on the game of wellness. —>you’ve GOT to be willing to take responsibility for your own health, in whatever state it’s in. It got there because of whatever you did or didn’t do. —>you have to be willing to put in the time and energy needed to work your program. In some cases this is upwards of 2-3 years depending upon your state of health. —>you have to understand that you didn’t get to where you are overnight and we won’t be able to fix your issues within 3 weeks. 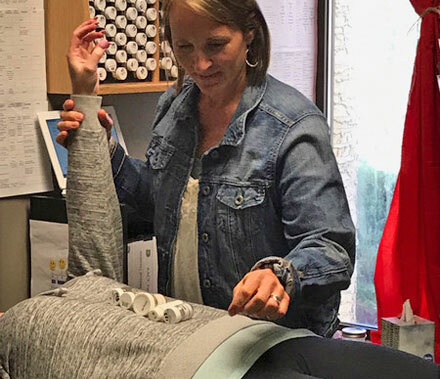 Lastly, whether on the phone for a Next Step Session or in front of you at your Initial Visit, I’ll tell you Nutrition Response Testing will end up being one of the strangest, most interesting experiences you’ll ever come across. If you’re ready to get a handle on your health once and for all, I invite you to book a Next Step Session with me. Keep in mind that in Nutrition Response Testing we do not treat, diagnose, or prescribe.